It's not a trick question: Which governor is to blame for top two tax hikes in CT history? It’s not a trick question: Which governor is to blame for top two tax hikes in CT history? Quick quiz: Which governor approved the two largest tax hikes in modern Connecticut history? If you answered Dannel P. Malloy you would be in elite company. The claim about the Democratic governor has become a mantra for Republican gubernatorial nominee Bob Stefanowski, GOP lawmakers, and conservative policy groups. You also would be wrong — by any measure. Malloy certainly shares responsibility for one of the largest increases, namely the $1.8 billion package he signed in 2011. He then got tagged with the second largest tax increase when, four years later, he signed increases worth between $670 million and $895 million. But even the higher number is well below the mammoth-sized tax increase Gov. Lowell P. Weicker Jr. signed 27 years ago — which was worth $1.1 billion before adjusting for inflation and which prompted thousands of angry protesters to gather on the Capitol lawn. “With respect to this perennial Republican talking point, the facts prove it to be an outright lie, and something that simple fact-checking can refute,” Malloy spokeswoman Kelly Donnelly said. But Republican political strategist Liz Kurantowicz argued the GOP’s argument isn’t tainted, even if the tax claim is exaggerated. Pledging not to raise taxes and then doing so, however, isn’t the same as pushing through the two largest tax increases in modern state history. And while Malloy is undoubtedly guilty of the former, the CT Mirror’s analysis shows that he isn’t responsible for the latter. That analysis looked at projections from the legislature’s nonpartisan Office of Fiscal Analysis for the first fiscal year after the enactment of tax increases. It also counted any policy change that increased taxpayers’ obligations and their projected annual impact. Many Democratic lawmakers argued the 2015 tax hikes weren’t as severe as Republicans’ depicted because only about $670 million of the increases affected existing tax rates. Another $225 million involved canceling or deferring tax cuts that — while approved — hadn’t taken effect yet. Republicans disagreed. These were counted in this analysis. The first test was a simple comparison of nominal dollars. This test has severe limitations, since it doesn’t adjust for inflation, and dramatically understates the value of the older tax hikes. In other words, $1 taken from taxpayers in 1989 could have purchased more than $1 taken today. Under the first test, Malloy still doesn’t hold the top two, but his 2011 and 2015 increases rank first and third, respectively. The second test, which many economists use, adjusts for inflation. Using that method, a clear separation occurs. The tax hikes approved by Weicker and O’Neill, as well as Malloy’s first, are far more significant than the other three. Malloy’s 2015 increase falls to fifth. The last method is similar to an inflationary adjustment, but also recognizes that some government costs — such as contractually mandated payments on bonded debt and retirement benefits — often grow faster than the rate of inflation. The CT Mirror looked at these tax increases and what portion of their respective budgets that they supported. Using this approach, Weicker’s and O’Neill’s increases covered the largest shares of their respective budgets. And Malloy? His 2011 tax hike ranks third, while the 2015 increase falls to sixth-largest. Stefanowski, whose campaign has centered on comparing Democratic gubernatorial nominee Ned Lamont with Malloy, has repeatedly accused the outgoing governor of orchestrating the two-largest tax hikes in state history. Most recently, Stefanowski made that claim during the Sept. 26 gubernatorial debate televised on WFSB-TV 3. When presented with the CT Mirror’s analysis, the Stefanowski campaign initially released a one-sentence, written statement early Sunday. But that isn’t accurate either. The tax package Gov. 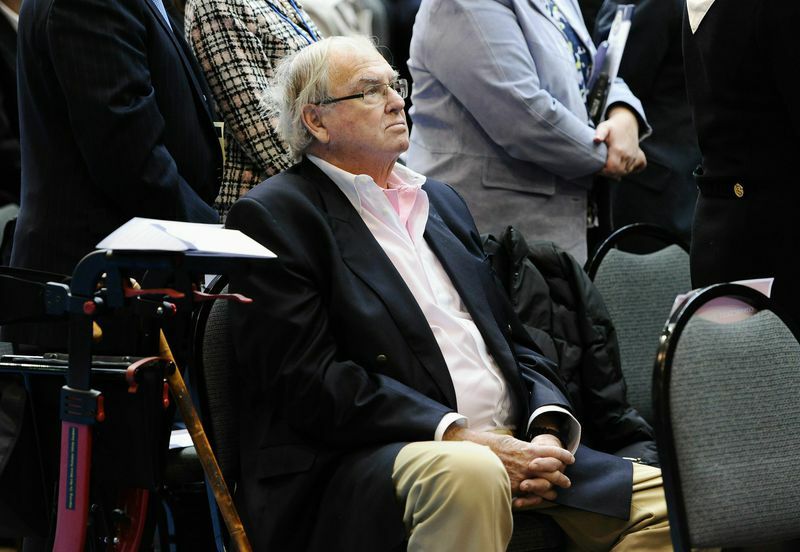 John G. Rowland signed into law in 2003 was projected to raise $516.8 million in income taxes, according to the legislature’s nonpartisan Office of Fiscal Analysis. The 2009 tax hike enacted under Gov. M. Jodi Rell cost income taxpayers $617.9 million. The income tax portion of Malloy’s 2015 overall tax package was projected to raise $219.3 million. 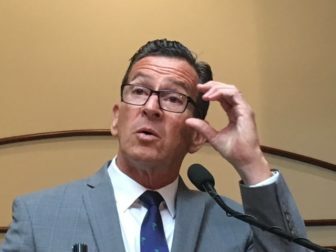 If all three increases are adjusted for inflation to 2018 dollars, or analyzed as a percentage of their respective budgets, Malloy’s 2015 hike still ranks below both. It also ranks behind Weicker’s 1991 income tax increase, by any measure. After being presented with this information, and asked to release the sources behind their statements, the Stefanowski campaign re-stated its position for a second time on Sunday. 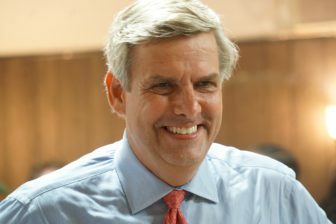 “Bob Stefanowski has no clue about Connecticut, and he is selling a bundle of lies that would make Donald Trump blush,” Lamont campaign manager Marc Bradley wrote in a statement. Lamont has not accused Malloy of approving the two largest tax increases in state history. So how did the 2015 tax hike get elevated to one of the two-highest in state history? State government budgets operate in two-year cycles and legislators often use biennial totals — particularly when it’s politically advantageous to make a number sound larger. Some Republican legislators basically doubled the size of the 2015 hike when talking about it — without qualifying they were using a two-year estimate. As most of us know, if you say something often enough, people will start to believe you. Worse yet, they’ll repeat it. 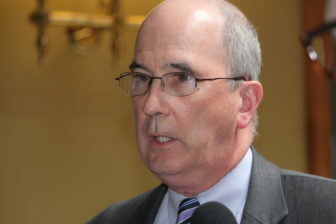 Connecticut Business and Industry Association President Joseph F. Brennan was dismayed last week to learn his organization had made the claim in a May 2017 state budget analysis sent to member businesses. “I can’t catch every single thing that comes out of our office,” Brennan said, adding that he never believed that the 2015 tax hike ranked in the top two. Dave Krechevsky, public policy and economic development director for the Waterbury Regonal Chamber of Commerce, repeated the charge in a May 2017 newsletter. He said he first read it in a publication from the Yankee Institute, a conservative public policy group with offices in Hartford. Where did Yankee Institute officials get that information? Carol Platt-Liebau, the institute’s president, said it likely came from newspaper reports, but she couldn’t be sure and acknowledged that the “two-largest” claim could be wrong. Liebau said policy groups should conduct their own analyses before making such claims. A quick search on Google turned up numerous newsletters from Republican legislators making the tax increase claim. 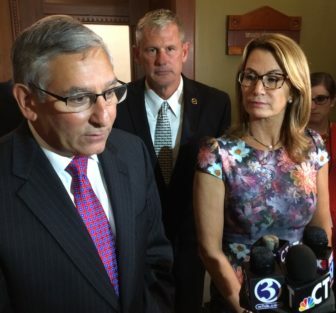 The top two Republicans in the legislature, Sen. Len Fasano of North Haven and House Minority Leader Themis Klarides of Derby, have made it on several occasions, including an op-ed piece they co-wrote and that was published last year in the New Haven Register. “The two largest tax increases in state history failed to pull Connecticut out of its financial crisis and have only worsened the chaos we face today,” Fasano and Klarides wrote. When presented with the CT Mirror’s analysis last week, neither leader refuted the findings. Both argued, though, that Malloy’s overall record on taxes is clear. “Governor Malloy and others can spin the tax hike statistics any way they want, but the bottom line is this: majority Democrats in the Connecticut legislature own every single one of these tax hikes,” Fasano wrote in a statement. “Governor Malloy’s massive tax increases inflicted on state taxpayers twice in four short years compounded Connecticut’s fiscal woes and did nothing to stem the red ink,” Klarides responded. 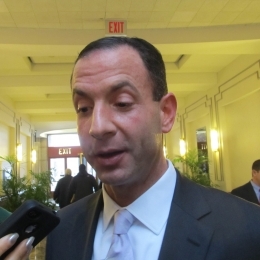 But Democratic political strategist Roy Occhiogrosso, an ally of Malloy’s who ran his 2010 and 2014 campaigns and served in his administration, said Republicans can’t expect years of lies not to damage their credibility. “When you intentionally misstate facts, that’s a lie,” he said. Occhiogrosso said it’s also not surprising that Republicans are not trying to refute the CT Mirror’s analysis, adding they long have known their soundbite was false.